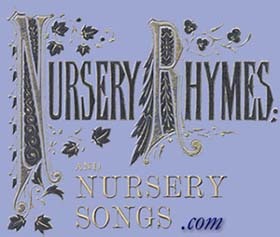 This site and its companion recording, Nursery Rhymes and Nursery Songs, celebrate a unique Victorian children’s music collection of nursery rhymes, children’s songs, and lullabies. Composed and arranged by British Composer J.W. Elliott, Nursery Rhymes and Nursery Songs was first published in the 1870s in London, and quickly became a fond part of childhood for millions of children for more than 130 years. This children’s music collection contains some of the most beautiful children’s songs ever written. The inspirational music in this children's music collection can even be used as a tool to stimulate discussions about morals for very young children. To view the words and illustrations for the children's song collection "Nursery Rhymes and Nursery Songs” click on the Songs and Engravings button.